to the 2018 President Kelly Zelikovitz. Board service is one of the toughest volunteer roles; and Kelly performs with dedication and passion. We are very thankful to have Kelly as part of our organization. She has been encouraging to all those around her, offering insight and making a lasting impact. Kelly ALWAYS has MCHA's best interests in mind. Her leadership skills have helped MCHA grow by leaps and bounds and we look forward to her continued participation in a sport she dearly loves and is dedicated to. From all of us at MCHA,Thank You Kelly! Please visit our show schedule page for entry forms and info. Please look for more shows to come! What initially interested you in the sport? When my dad, Todd Banner, started teaching me. 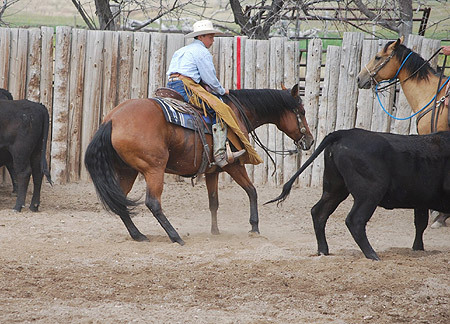 2019 Goals in the cutting pen? Favorite Quote: The Lord is my rock, my fortress, and my deliverer; my God is my rock, in whom I take refuge, my shield and the horn of my salvation, my stronghold. I like to hunt, work with my two year old colt (Gunsmoke Gertie,or Gertie), rope, Ranch work, Football, 4-H, and construction. Michelle Holsey Foundation $2500 Scholarship. Applicant must be a current NCHA member. Application must be turned in by April 22nd, 2019. We want you to be an MCHA member!!! Be sure to check out our photo galleries!